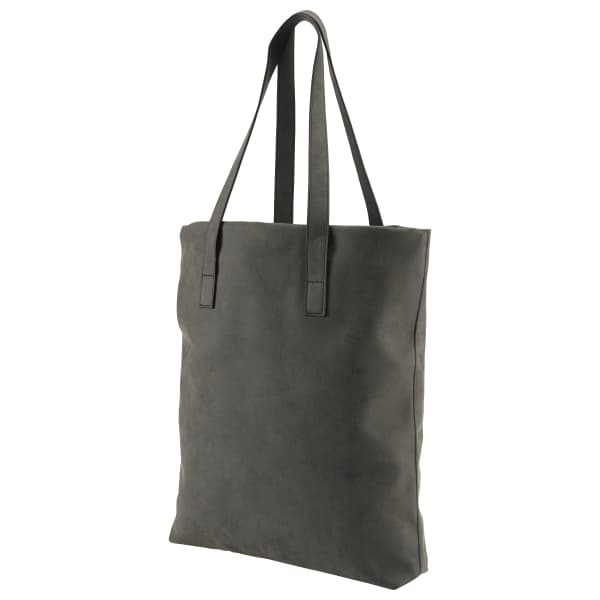 This boxy tote bag has a sophisticated look in faux nubuck. 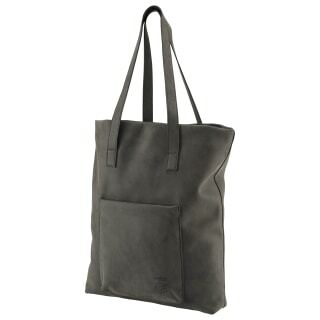 It features a big drop-in compartment with a magnetic button closure. A slip-in patch pocket in front provides more storage options.